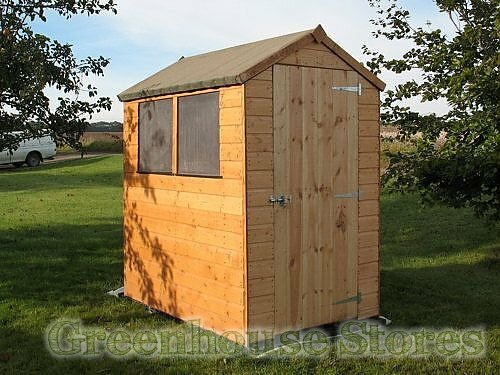 3m (9ft 10") Wide Greenhouse Floor Kit - Suitable for 8x12 Greenhouses. Customisable design - Tiles can be cut with a hand saw to suit your exact dimensions. 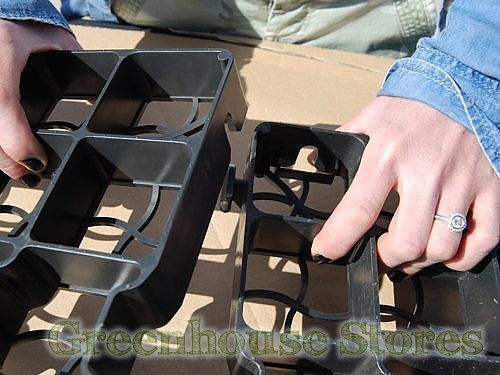 Eco Friendly - 100% UK Recycled Plastic. High Load Capacity - Up to 300 Tonnes per square metre. 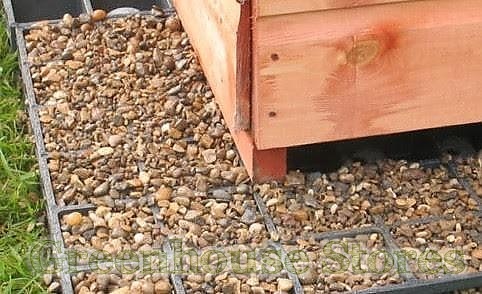 Provides Natural Drainage - Essential in a Greenhouse. Quick Click Construction - For simple assembly. 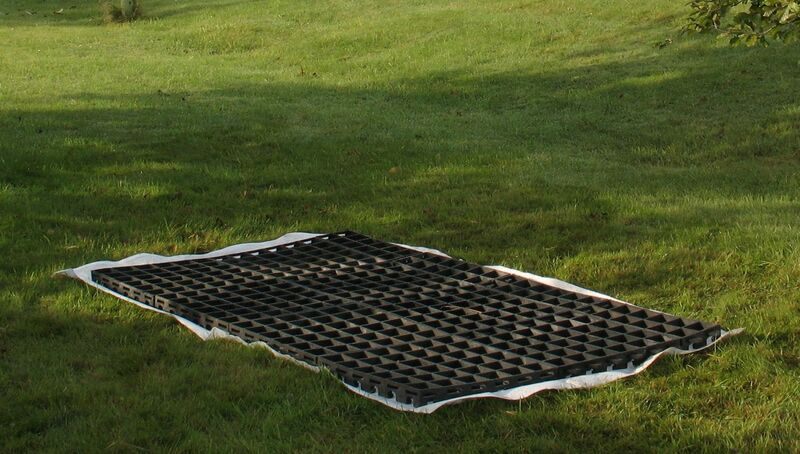 Water Permeable Membrane - Eliminates weeds. Rot Proof - Will not degrade over time. Reusable and Extendible - Ideal for moving house or up sizing. 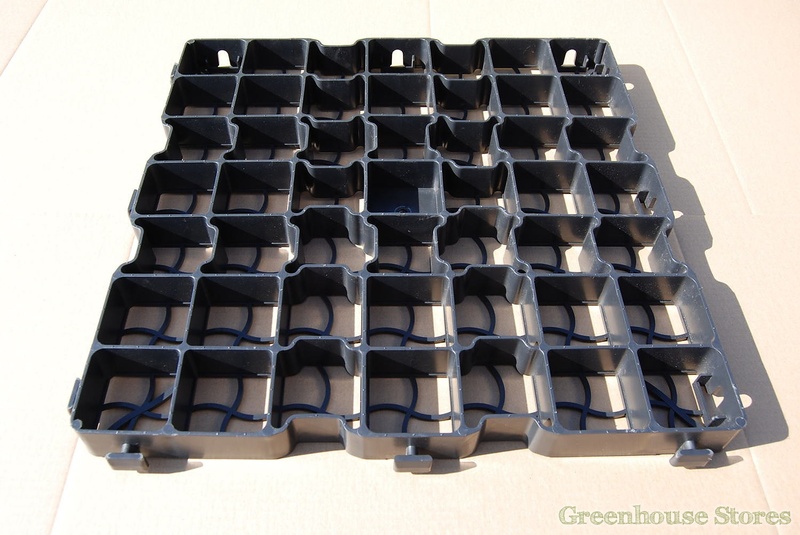 The Fastfit 8x12 Greenhouse Floor Kit is the most cost effective and simple way of providing a level floor for your Greenhouse. 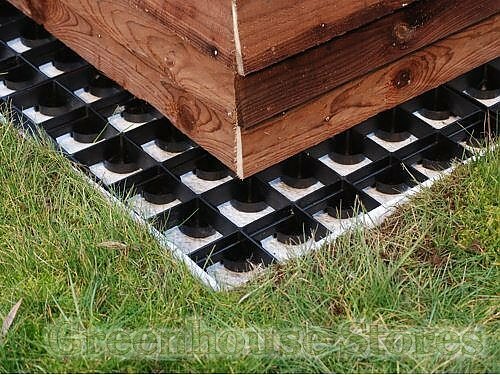 The 8x12 Greenhouse Floor Kit comes with a simple to construct click together system complete with water permeable membrane to provide essential drainage for your greenhouse whilst keeping the weeds at bay. Quick and easy preparation means no waiting times for concrete to dry. 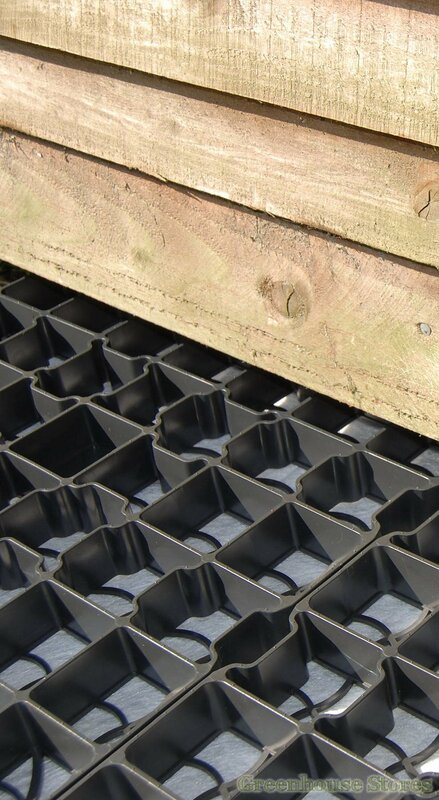 All of our Fastfix Greenhouse Floor and Shed Base kits are constructed from 100% UK sourced recycled plastic that won't degrade over time.